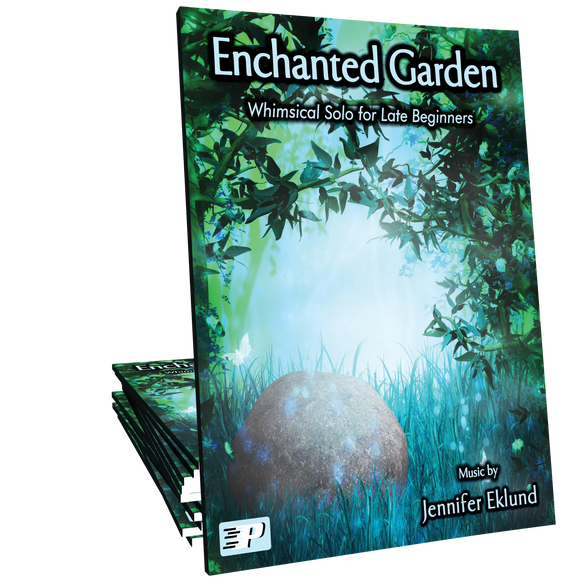 Enchanted Garden is a sparkling, contemplative showcase solo for late beginners by Jennifer Eklund. This piece is a gentle way to introduce the key of G-flat major, can easily be taught by rote, and provides an opportunity to work on rubato with students in the early stages of lessons. Student Saver! A middle school student of mine picked this from 3 choices for the spring recital. She practices some on her own, but not a lot. A week after receiving this piece, she came to her next lesson with parts of this memorized, she had worked on it so much! She is in love with this piece! Thank you, Jennifer! Beautiful piece! Sounds way harder than it really is. Can't wait to have this perform at the next recital! Wow, that's pretty! I can't wait to try it out! 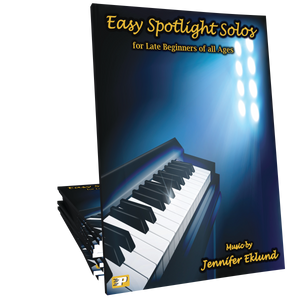 A great beginner piece for all ages, but I love it especially for older beginners. 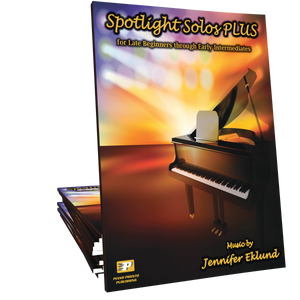 What a great opportunity to introduce rubato, key signatures, movement around the keyboard and more in a sophisticated sounding piece that will appeal to all ages. A delicate & positively delightful piece for beginners! It sounds difficult but is very simple. This will be perfect for any recital stage.